Sometimes the medium really is the message. To combat illiteracy in the nation's capital, the Mayor’s Office launched the DC Lifelong Learning Initiative. Several media outlets donated space to promote the program through TV, radio, transit and print PSAs. 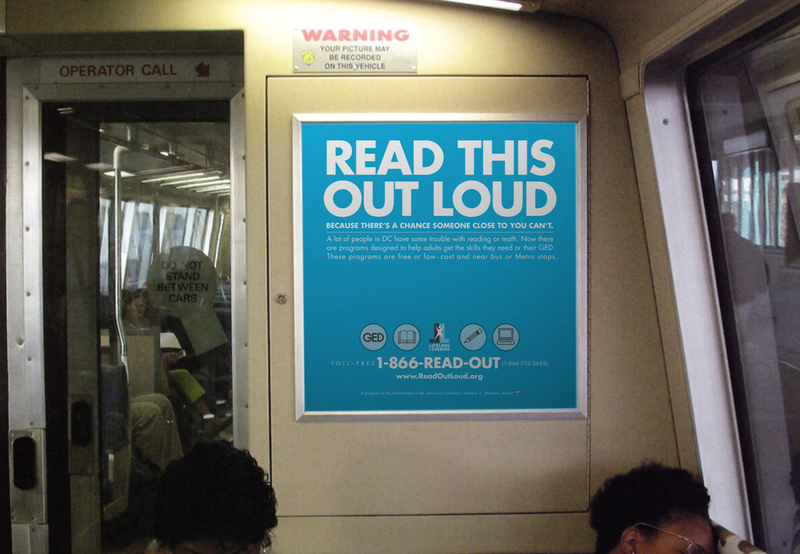 Using print media to target an audience that doesn’t read was both a challenge and a creative opportunity. This campaign was designed to go viral before terms like flash mob existed. 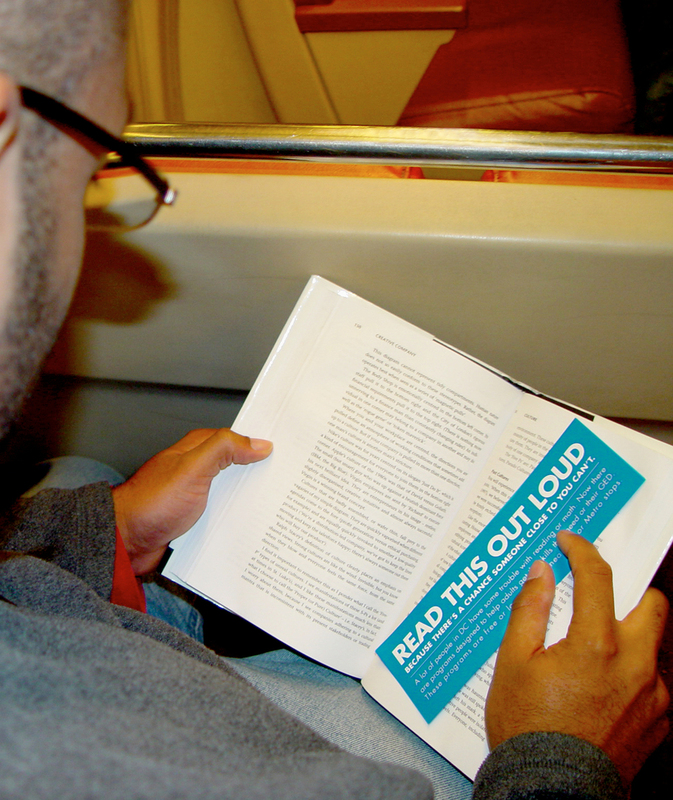 Newspaper and transit ads enlisted commuters to read the ads aloud to their fellow DC residents. 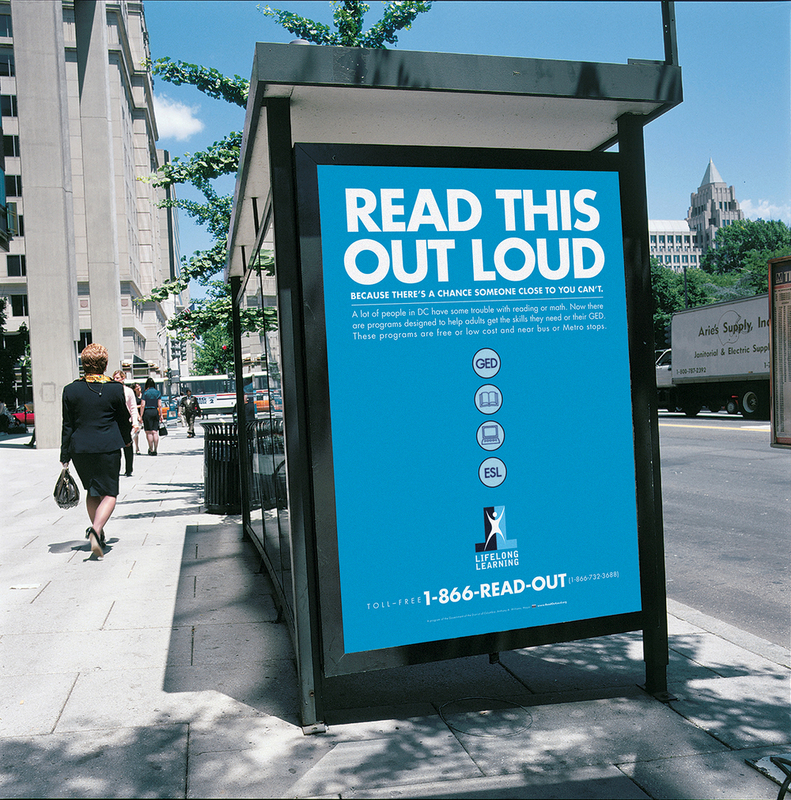 TV and radio spots instructed audiences to do the same when they saw the iconic blue ads during their daily commute. To launch the campaign, 250 volunteers and local celebrities were deployed throughout the city to read the ads on trains and buses. Nearly every newspaper, TV and radio station in DC ran stories about the Initiative and the campaign. A 400 percent increase in response helped DC Lifelong Learning far exceed its recruitment goals.